Ho hum, that's the headline here. During the primaries I was rooting for Cruz to emerge as the candidate. I get why Trump won, and win or lose the general election, there's concrete value in the shake-up it has caused within the Republican establishment. Nevertheless, Ted Cruz didn't seem to get it. I understand why, there was a lot of vitriol during the primary campaign. So during the Republican national convention, he deliberately refused to endorse Donald Trump, despite taking an oath to support the eventual nominee prior to Trump winning the nomination. Make no mistake, that had an effect on Trump, fuelling the #NeverTrump crowd's flickering flame. But that flame itself eventually dwindled. Ted Cruz did not endorse Trump during his August polling swoon either, when it might have mattered more. 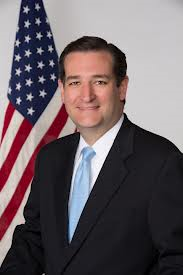 Ted Cruz finally gets around this week to endorsing Donald Trump after Trump has surged to near parity with Clinton. Cruz makes a solid case as to why he's endorsing Trump, and he's outwardly at least, doing it for the right reasons. And it's good that he has stepped up and done the right thing rather than continuing to be petulant. But....Ho hum. The endorsement is a day late and a dollar short as the saying goes. I say that because at this point, that endorsement no longer matters. Ted Cruz supporters have either exited the Cruz bus, or decided to not vote for Trump already. The splash was the non-endorsement. Endorsing now has gotten little press coverage on the left or the right - the former because it doesn't help Hillary and the latter because they've already moved on to deciding for themselves either way. There's no splash. Maybe there would have been if Cruz had emerged from Trump's plane and spoken on Trump's behalf at a rally. Then it might have really gotten some attention. Not on Facebook though. So who does this endorsement actually help? Ted Cruz. If Trump wins and a few states are squeakers Cruz can point out to Trump that his endorsement may have made that marginal difference that got him elected. And maybe he can get a plum appointment from Trump to a cabinet post or even as a Supreme Court Justice (a role he would be well qualified to serve). Additionally, this can serve Cruz to help him repair his reputation from his seemingly jilted non-endorsement during the GOP convention. Two reasons for Cruz to endorse Trump that have little to do with Trump. In fact, Cruz' endorsement of Trump rings more of a disavowal of Hillary Clinton than as an endorsement of Trump. If it had been the latter, and if he had truly wished to fully own his own shortcoming, and move past them, there would have been an apology attached to the endorsement. There wasn't. Cruz could have actually made a bigger splash had he waited until after the debate, especially if Trump had a bad night. And maybe that's his calculus - maybe he figures Trump will exceed expectations, do well and not need another endorsement and Cruz' own endorsement at that point would have zero value. It would be perceived as hopping on the bandwagon. That's a risk. But it's a risk for Ted Cruz, not for the good of the party. The risk worth taking for the good of the party and of the country, would have been to wait, and risk having his endorsement not matter, but be available to knock some of the wind out of Hillary's sails should Trump have not fared well during Monday's debate. Don't get me wrong, I like most of Ted Cruz' policy positions. If he were to run again I would consider supporting him (although I'm not 100% certain he would be my choice). But to me, his endorsement of Trump, because of the under-the-radar timing of it make it a non-event in my eyes.